Home Invasion Warning...Don't let your guard down. Intruders are now knocking on your door with bogus stories that will cause you to open your door. Don't fall for any story. Then they enter and rob your home and family. Don't ever open the door to anyone you don't know. Always answer the door with the intercom. Not answering the door is also bad as that sends a message that it is okay to break in as no one is home. 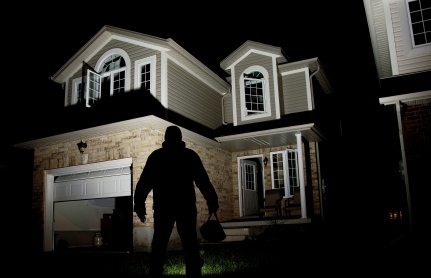 Intruders are often ringing the bell to find vacant homes and then proceed to break in. 2. Ensure that you are the last person in the premises. 4. Immediately leave the premises through the prescribed exit door. Turn OFF the system in the normal manner. Remember: 90% of police dispatches are caused by user error!! What if my Alarm System goes off? Don't panic. Remember you will need your Pre-Lock System number and ID found on your laminated card. If the alarm activation was accidental disarm it right away. If you disarm your system quickly the action of entering a valid disarm code will send an automatic cancel code which will cancel any furthur action that alarm providing it is turn of very quickly. In the even you do not disarm your system quick enough you will receive a call from the Monitoring Centre. Have identification ready. Do not leave your home or business until you have provided your cancel code to the Monitoring center. If we call the premise and cannot verify the alarm, we will send the Police, guards, and follow our written instructions we have received from our customer. REMEMBER: Routine maintenance can greatly reduce unnecessary police dispatches and expensive repairs. Have us service your system regularly. Call us if your system doesn't seem to be working right. Your prompt attention can ensure many years of trouble-free operation and satisfaction. Tips:Notify Pre-Lock Security data entry in writing of any Emergency Contact or operating schedule changes in advance during our normal business hours. If you change your phone number, get a pet, plan to sell or renovate, call Pre-Lock well in advance. When leaving your premise, ensure that all doors and windows are locked before turning on the system. Make sure authorized users who have a key to your home or business know how to operate the security system and have appropriate identification.